In this world of conforming school rules & dress codes, these DIY school supplies allow your kids to show their personal style without breaking your budget. My “favorite” time of year is almost upon us – back to school shopping. It’s a time to be reminded of how you have no fashion sense whatsoever, and how quickly a child can spend $500 yet come out with only 3 articles of clothing…all which break the dress code policy! Other than waving the bus off after a long, hard summer of being a cage-fighting referee, there is one thing I absolutely LOVE about back to school. School supplies. First off – there are awesome deals to be had! Notebooks for a penny? Sign me up! Free crayons, cheap pencils, the list goes on and on! In fact, I try to stock up for the entire year. All those supplies come in handy when you love to DIY like I do! This year though – I’m combining my two favorite things. I’m going to DIY school supplies! From notebooks and pencils to book marks for the summer reading that is frantically being started now – it’s all being personalized! For the first time ever, my children actually think I’m cool. I let them stock up on washi tape and go to town making their school supplies truly their own. In fact, on a recent rainy day, they invited a few friends over and had a crafting party where they all customized everything from their binders to their backpacks. Maybe – just maybe – they will actually get excited when it’s time to pull out a notebook and get back to school! Beginning at the end where the eraser is, start the paper tape. Make sure to stay on the wood portion of the pencil and not the raised metal edge to prevent peeling. Begin wrapping the pencil in the tape, working your way down from the eraser end towards the sharpened end. Cut off any excess tape. Try other paper tapes with different colors and designs for your other pencils or create tape combinations. You can do more things with paper tape, duct tape, and cardboard. Let’s move on to bookmarks! Used cardboard – cereal boxes work great! Cut a piece of cardboard into a rectangle. Next, cut pieces of duct tape just long enough to go around the bookmark once with a little bit of overhang. You will probably need 4 pieces of the tape or more depending on the size or length of your cardboard. Bookmarks are typically about 1.5” wide and 4-6” in length. Wrap your tape strips around the bookmark from top to bottom going width-wise, not length-wise. Now it’s once again time to get creative with your paper tape! Use the tape to create interesting color combinations. You can also use stickers and permanent markers to personalize the bookmarks. Pro Tip: Clear packing tape can be used to “laminate” your bookmark once you’ve finished decorating it. Using your paper hole punch, punch a hole on one short side only. Lastly, add the string on the end where you punched a hole. You now have a bookmark that is uniquely you. Now, if it would only read that ridiculously long and boring assigned reading for you! Why buy if you can make a brand new notebook from the parts of your old ones? For those eco-conscious kids and teens – remember paper comes from trees and this can help save trees! Covers from old spiral notebooks with the same size and holes. Gather up all your clean sheets of paper that you’ve salvaged from last year’s notebooks. Remember they need to be the same size!. Hold them in a way that all the holes are aligned. Keep the papers from slipping out of place by clamping or using a bulldog clip on one of the sides. Then slip a piece of string through the first hole and tie it. Make a double knot with the string. Using a crochet hook, pull the string through the third hole. Insert the hook from the bottom through the second hole, yarn over and pull the string down through the hole. Count two holes from the last hole the string went through and pull the string up through that hole. Continue to pull the strings through the holes in the same manner as you would when creating a back stitch. When you reach the bottom, tie the string twice and cut the excess string. Prepare your wrapping paper. Be sure to leave one inch allowance on all sides. Glue and fold the sides of the paper to the the inner side of the covers. You can stop here or continue to decorate – use your permanent markers, stickers, glitter glue, photo or magazine clips and really personalize your notebooks! To protect you can use modge podge, clear packing tape, or laminating sheets. You now have a new notebook just in time before heading back to school. These DIY school supplies might not make your kids jump with joy over the idea of summer vacation ending! But, I can guarantee that they will not break your budget or dress code rules! 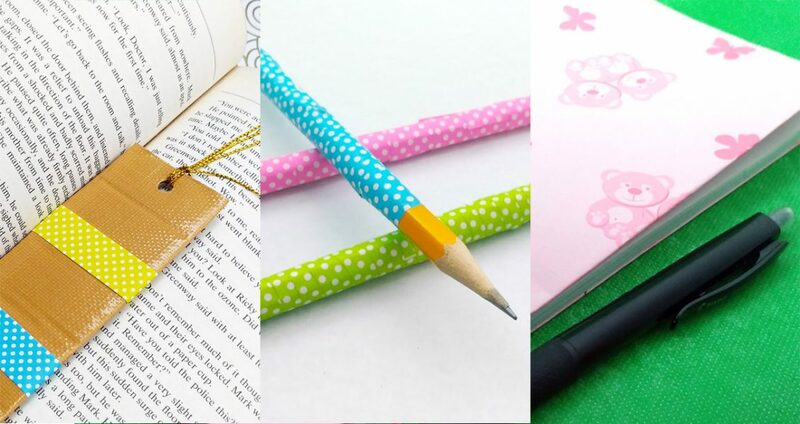 In fact, with how strict many dress codes are now and with many school going to uniforms, these DIY school supplies might be the only chance kids get to show off their personal style! 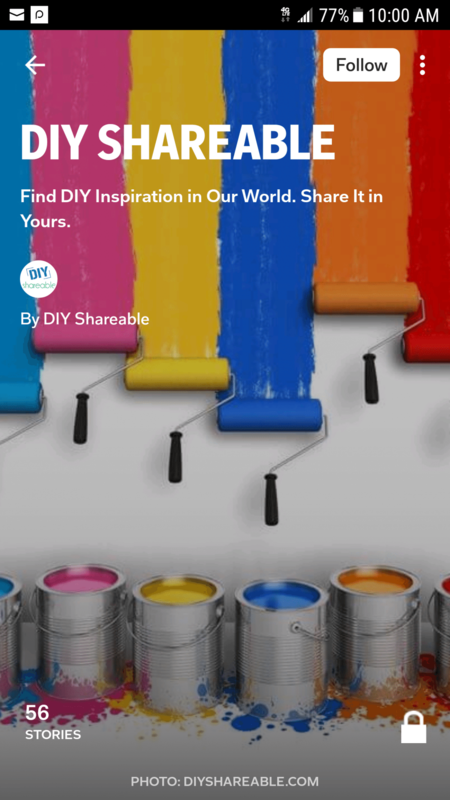 Here’s a little secret for you – these DIY projects aren’t limited to your school age kids. Go ahead and personalize your office space as well. Those long meetings and boring conference calls are just a little easier to get through when you have a cute pencil and notebook to take notes with. Or create your weekly meal plan like I tend to do when I tune out! Now go hit those back to school sales and start DIYing those school supplies!